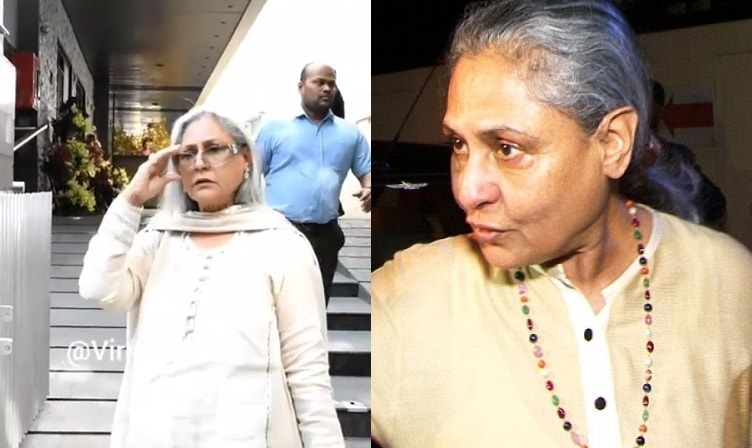 Bollywood's veteran actress Jaya Bachchan was caught on camera scolding a fan for clicking her picture on his mobile phone without her permission. 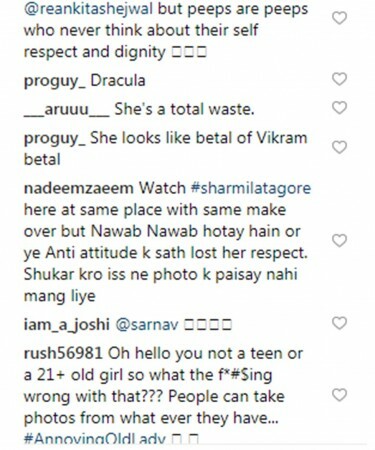 She also blasted another fan for the same. It so happened that Jaya attended Karan Johar's mother Hiroo Johar's 76th birthday bash on March 18 which was also attended by several members of the film fraternity. But when she stepped outside of the venue, she was greeted with a group of paparazzi along with a few people who started clicking her pictures. Though Jaya was a little welcoming towards paparazzi, she didn't spare the people who were capturing her into their mobile phones. 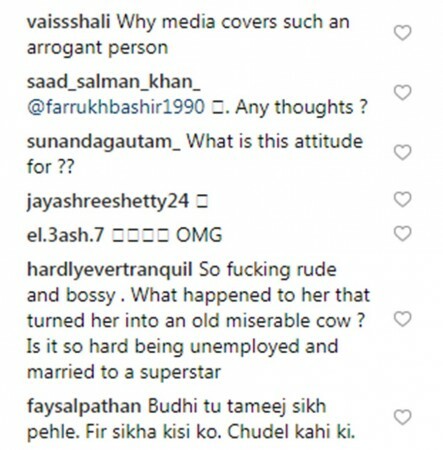 Within no time, the actress confronted a man and said, "Ye mobile me kyu photo le rahe ho." And the moment the man tried to flee from the spot, she called him back, "Aey yaha aao. Idhar aao. Idhar aao. Idhaar aao (angrily) aap. Mobile se kyu le rahe ho pucha mujhse aapne?" As the visibly frightened man apologised for clicking her pictures in his mobile phone without asking for her permission and started walking away, Jaya said, "Tameez seekho." 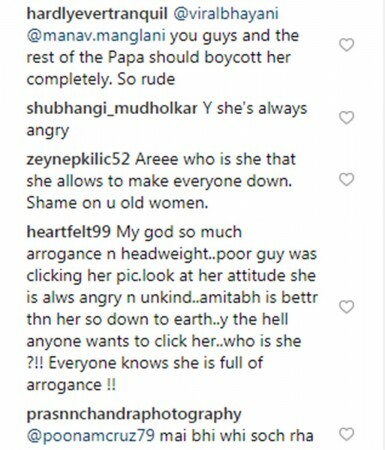 The entire incident was caught on camera and as soon as the video went online, social media users started trolling her brutally for the utter display of her 'rudeness', 'bossiness' and arrogance in public. Netizens went on to criticize her unwelcoming behaviour. What's your say about this? Comment your view below. Stay tuned for more upates.